N.C. A&T received 16 grants totaling $2.16 million in November. One highlight of November’s funding was an equipment grant worth $183, 200 from Old Dominion Freight Line of Thomasville to Dr. Larry Burton of the Department of Electronics, Computer and Information Technology and co-investigators Dr. Ibraheem Kateeb, Dr. Robert Cobb, Dr. Craig Rhodes, Dr. Cameron Seay, Dr. Li-Shiang Tsay, and Dr. Tony Graham. The issue: In the last decade, leading edge enterprises adopted server consolidation to address the growing pains of constantly expanding enterprise data centers. In server consolidation, the operating system and applications of a computer server installation are emulated by a single software program known as a virtual machine. Consolidation comes when several virtual machines run on a single computer, yielding dramatic reductions in data center costs. The most recent trend is to extend the use of virtual machines to emulate desktop computers. A few to several thousand virtual machines can run on groups of connected computers, called clusters, to share computer processing power. The resultant amortization of processing demands yields both cost and performance benefits; such installations are called computer clouds. Leveraging virtualization and cloud computing demands similar performance enhancements in computer networking, especially in wireless mobility. Abstract: This project aims to improve data center management techniques for better information availability, reliability, security, and cost effciency. The broader impacts of this project include development of advanced IT skills in the Triad workforce. This project will enhance learning outcomes of enterprise computing technology students at N.C. A&T, area community colleges, and high schools by engaging students in applied research and providing hands-on experienced-based learning. Additionally, availability of a skilled IT workforce will expand the Triad economy by assisting the expansion of existing enterprises and attracting new information technology dependent enterprises to relocate to the Triad. Growth at Old Dominion Freight Lines (ODFL) necessitates the relocation of the present Disaster Recovery (DR) center in Greensboro to a newly constructed center located in Thomasville. The present DR site is fully functional and equipped with modern equipment comparable to most other corporate DR sites. The relocation provides a unique opportunity for ODFL and N.C. A&T. This project proposes that ODFL make a grant of the existing DR center to NCA&T SU and to Davidson County Community College (DCCC) for the purpose of establishing a state-of-the-art IT data center research and experience-based learning labs. The grant to DCCC is separate from this proposal, but the two labs are expected to collaborate in research on best practices of remote data replication and security. A primary goal of this project is to involve undergraduate students in applied research. To this end, students will dismantle the existing DR center under the supervision of the investigators, then re-assemble the equipment on the N.C. A&T campus in a research and teaching lab in Smith Hall. The lab will be constructed as a standalone facility, independent of the campus IT network. This isolation allows the researchers to experiment with alternative network, power, and security configurations, without disruption to the production network. On occasion, qualified configurations may be installed in the campus data center for long term evaluation. This project proposal is an equipment-only request. The establishment of a dedicated data center laboratory for research will provide researchers a competitive edge to request additional funding for support of additional investigations. As such, ODFL will be a catalyst for sustained research at N.C. A&T with measurable impact to the Triad economy and beyond. The complete list of grants received in November (xlsx file). 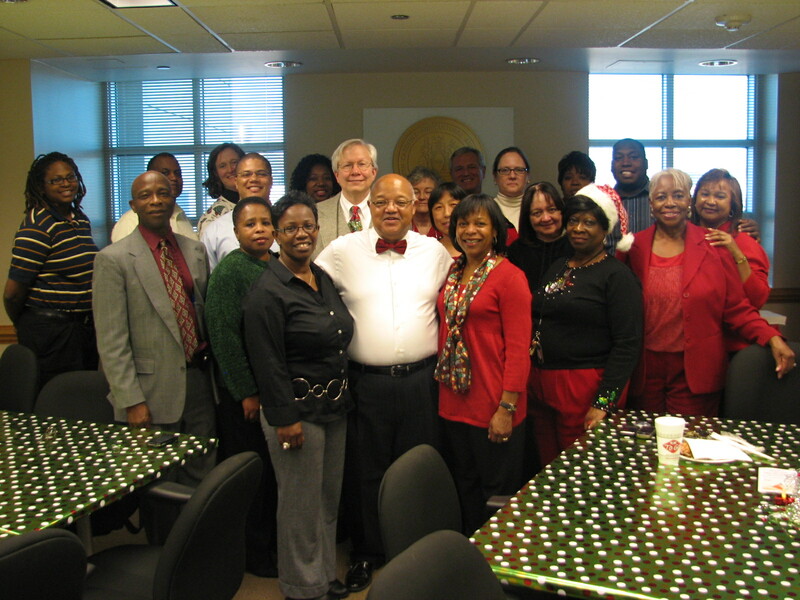 The Division of Research and Economic Development staff wishes you a joyous holiday season and a happy new year! There’s a remarkable opportunity this evening for anyone interested in the cross-cultural issues of aligning patient education, care and follow-up with the culture and history of Greensboro’s significant Montagnard population. The event is a moderated discussion among American physicians, Montagnard physicians, and university researchers. It’s an initiative of the Center for New North Carolinians at UNCG. Among the faculty members involved in Dr. Maura Nsonwu of the N.C. A&T Department of Sociology and Social Work. 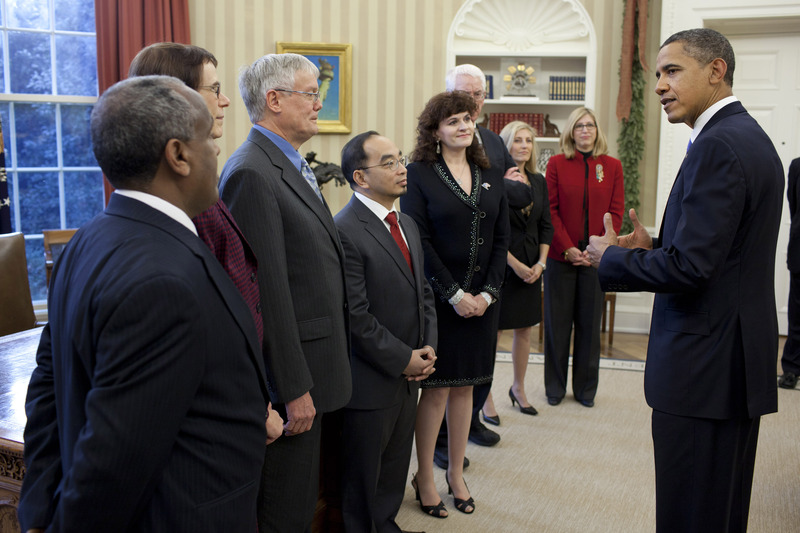 Dr. Nsonwu is a fellow with the center. The meeting is today from 5 p.m. to 7 p.m. in the AHEC room at Moses Cone Hospital. Details are in this PDF document. The NSF Engineering Research Center for Revolutionizing Metallic Biomaterials is starting the commercialization process for its biodegradable implant technology for reconstruction and regeneration. 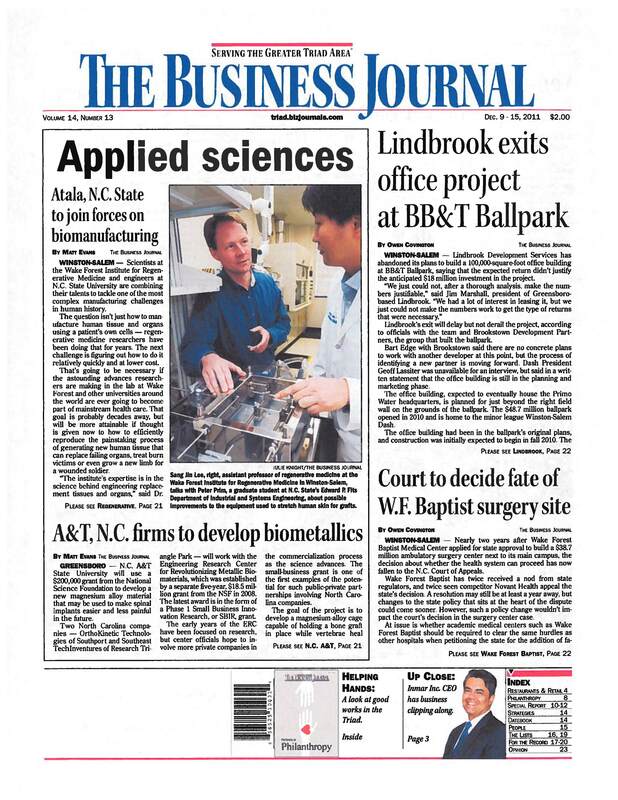 A front-page story in today’s edition of The Business Journal details the work now being funded by an SBIR grant to develop a magnesium-alloy device that aims to make spinal fusion easier and less painful. 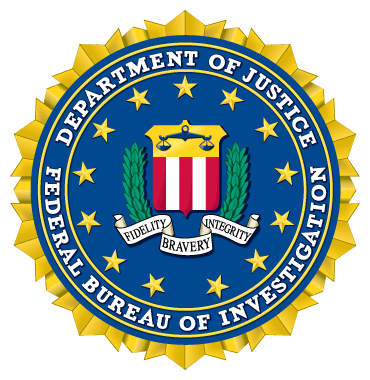 “Registration is under way for the popular Academic Biosecurity Workshop, which NCABR is presenting in partnership with the FBI. It is completely free to attend. Tuesday, February 28, 2012, 1 pm – 5 pm. Location: North Carolina Biotechnology Center, Research Triangle Park. Speakers, syllabus, reference materials and more are available at the workshop website. One last reminder and we’ll stop talking about it: The open house at the Joint School of Nanoscience and Nanoengineering will be held Thursday, December 8, 9 am to 3 pm. The school is located at 2907 East Lee Street in Greensboro, just north of Interstate 40. Your personal invitation is on the JSNN website: jsnn.ncat.uncg.edu/grand-opening-ceremony/.